These are lessons that I have learned as I have served beside my husband in various capacities of ministry. The list or lessons is endless but I have chosen these because they are applicable to every single one of us as Christians. It doesn’t matter who we are married to, if we are single, or what jobs we do. All of us are hit in the face with what follows at some point or another. In a world where you can be anything, be real. We are all looking for more. What we have never feels like enough but we aren’t quite sure what would be. We need less airbrushed, tailor made, custom designed, fake. We want real, but in a world that says “fake it until you make it” real doesn’t come cheap. Many of us don’t even know what real is or who it is that we “really’ are. I’ve learned that it’s pointless to stand up and be someone you’re not for a congregation who may have expectations but what they’re really hungry for is the same thing that I’m hungry for…real. The truth is, we all fall down and as Bob Carlisle says, “The saints are just the sinners who fall down, and get up.” We all struggle! The beauty is that the struggles allow us to mercifully understand and carry the burdens of others in a way that we couldn’t if we didn’t understand from experience. To do this, we have to be real about the struggles we’ve faced. In a world that tells you you can be anything, choose to be real so that both you and those around you can stop the impossible task of trying to be everything only to be left feeling like you don’t amount to anything. There’s a whole lot of things you CAN’T do, the question is, what CAN you do? Expectations govern every area of life. That doesn’t change no matter who you are. There are so many things we have on our wish list to be when we “grow up.” The American mantra we all march under says “You can be anything you want to be if you try hard enough.” The truth is, we can’t. The try harder life doesn’t account for talents and gifts we simply don’t have and it undermines the gospel model of the body functioning as a whole when we all use our unique skill sets. I am accountable for the time, talent, and treasures that he has entrusted me with and I have a pretty big hunch that me standing before him one day with a list of “I wanted to do all of this but I couldn’t” isn’t going to cut it. What can you do? Those are the things we need to be busy with. Being busy with the can do’s always leads us down a path of things we had no idea we could do. That path is only accessible through doing what we know we can, not dreaming about all the things we wish we could. Lead from your failures more than you lead from your successes. We all fail. Some of the most valuable lessons we learn come from failure. When we don’t use these failures as we teach and lead others, we paint ourselves in an unrealistic light that makes us unapproachable and limits how others are able to respond. If we fail correctly, we learn major lessons. Don’t be afraid to lead out of places of life changing failure. In those failures we don’t honor the details, but we do honor the story. No matter what, you can’t please everyone. There will always be people that don’t like me and if I change for those individuals, I just create a whole new group of people who don’t like me and in the process I completely forget who I am. There’s not one single person who doesn’t, on some level, desire to be liked and pleasing but when this becomes the goal, it is a disease that destroys us. When we are intent on making much of Jesus we find that the drive to please everyone around us is no longer at the forefront of our pursuits. You have to let them tinkle on your feet. One of the truest and best ministry lessons I ever learned was from the late and great John Bisagno. If you want to reach people, you have to let them tinkle on your feet. Get off your pedestal. Don’t consider yourself better than those around you because the biblical mandate is quite the opposite. When you serve people, they’re going to tinkle on your feet. They’re going to get their mess all over you. This is what it means to serve others. You don’t become their mess but you do get messy. Serve, don’t be afraid of the muck and at the end of the day, just take a shower. Don’t listen to respond, listen to hear. We all feel the huge expectation to answer with profundity. To make sure people know we sound educated because, after all, how can they trust us if we don’t prove to them that we are wise? This is the wrong approach. Hearing is so much more valuable than responding. It’s ok to say, “I don’t know.” It’s ok to have no words to follow. What’s never ok it to spend the time you should be listening coming up with some wise retort that the person seeking your ear won’t remember anyway. Take the time to really hear the people who are being vulnerable in front of you. All they really need is to know you care, they don’t really care what you know. The wisdom that is truly needed will flow from having truly heard what’s being presented. Just because God is in it, doesn’t mean it’s yours to champion. There are a lot of amazing things going on around us that God’s hand is on. He didn’t call us to be in the middle of everything. It’s necessary to say no to good things so that you can say yes to great things. A good thing for you will be a great thing for someone else. Don’t attempt to keep your hands in everything because if you do, you’ll never experience the greatness that God has set out for you to accomplish. Plus, you’ll be tired, grumpy and unpleasant to everyone around you. God always answers when you call out to him. I hate to hear people say, “I hope God answers my prayer.” He always answers! Sometimes we aren’t sure what he’s saying and sometimes we just flat out don’t like the answer, but he always answers. We had his ear as soon as we uttered the first words of our prayer and even long before because he already knew what we needed before words were uttered. Often I ask God for something and I miss how he responded because I had very specific expectations on how he was going to act. His ways are perfect and mine are flawed. I have to remember to look for him in a wide range of possibilities because so many times I find that he did exactly what I asked in a very different way than I had planned. People will lie about you, let them. 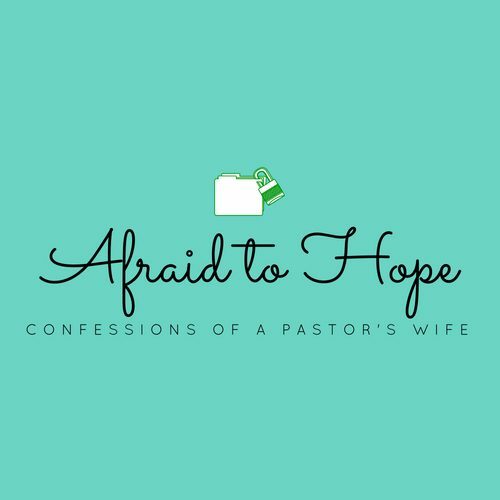 One of the hardest parts of being the wife of a pastor is pouring all of yourself into the people around you and watching your husband do the same only to have people lie about you and talk badly about your husband and your family. It will break you in ways you didn’t know you could be broken and if you’re not careful it will destroy you. Be careful not to let it. It is not your job or mine to be busy policing the opinions or motives of others. What they are saying about me is none of my business. Sometimes it needs to be addressed but rarely can it be changed and it has to be left in the hands of God. Our call is to live above reproach, beyond that, people will still lie; let them. There are so many things that are good. So many things worth striving to be, but in our striving it is so easy to forget that without love, everything else is just noise. Love big, because without love everything is pointless. All of the lessons I have learned lead me back to this most important message. All of these lessons, if not applied, challenge my ability to choose love every day. Love looks different in every separate situation. Sometimes it’s knowing that no matter who’s in front of you and no matter how hard they are for you to love, God loves them so much. Sometimes it’s saying no when yes would make you much more popular. Sometimes it’s suffering long with someone who needs just a few more get out of jail free cards when you’d really like to throw in the towel. Sometimes love is beautiful and sometimes it’s really kind of ugly. Sometimes it’s the easiest thing in the world and sometimes it’s hands shaking, heart pounding, can’t catch your breath, hard. Sometimes it doesn’t look anything at all like me but who I am doesn’t define who is to be loved. Always, no matter what, loving others is the key to anything God calls us to do.